does anyone know how to handle USB on 4048? Hi Peppe contact Edmundp or Manie on the South African Powerforum. Both of them have independently conquered the PIP USB. Depending on what program 1 is set to program 12 and 13 and the low battery cut off influence the dry contact. Program 18 switches off the buzzer/alarm on the unit (gets rid of the annoying beep when you are pressing buttons on the unit and silences alarms). Looks like the problem was always the use of 125A fets on hs1 instead of the 200A ones which are fitted on the latest versions. When did they make the change from 125A to 200A mosfets roughly? 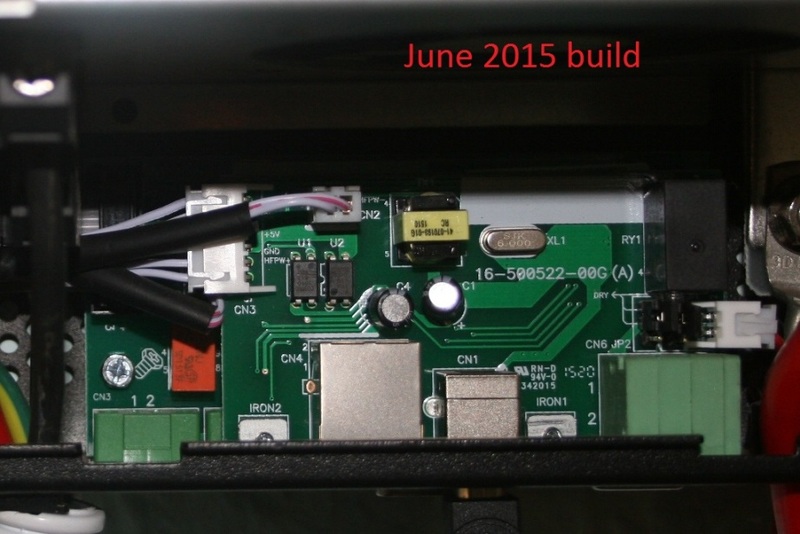 MY PIP/Axpert is a June 2015 build. I took a photo of the board this morning. Hope it helps. solamahn wrote: What about U2, the scc firmware. What version have you got for that. The U2 firmware is 1.24. Connected the panels today but overcast. 104 VDC but no current flowing - tomorrow we will see looks like it is clearing. My secondary CPU says "00000.00". I had trouble with the inverter continually switching between AC and batteries whilst running in UPS but is running smoothly in appliance mode. Will connect the PVs tomorrow and that might be why secondary CPU has not got a value. Firmware 72 40. Probably some regional differences. Thanks for all the help. Tomorrow if I can get the battery cabling sorted out will be the moment of truth. Comes with the noisy ADDA fans and just a gray/silver front panel with Mecer labelling.